One of my few friends in Aqcha touched my heart deeply because of her strong spirit and and grasp for new things and ideas. She was totally illiterate and used to be fascinated by me reading to her. This young woman was 20 years old, and she had been married for 10 years. Her husband was from different ethnic group and 10 years older than her. She was expecting her 5th child; two of her children died and she had two sons. I asked her if she would like to have girl this time. "No, no! Girls are bad! ", she exclaimed. I was quite surprise by her outburst. "What do you mean girls are bad?" I asked. "Bad, bad, bad," she continued. And then she sighed and said," Life is bad for girls... Very hard to be a woman...bad, bad!..." Then she told me her story. She started to work when she was 4 years old. She did everything: cleaning, bringing water from quite a distance, looking after her younger siblings. Later she learned how to make Turkman carpets. At 10 she was given into marriage,and her mother-in-law was not a kind woman. "She used to beat me, and force to work very hard", my friend shared. "I never could please her and never had a kind word from her." She was totally under her mother-in-law's control. Her story is not unique in Aqcha, Afghanistan. My friend said that she does not want for her daughter to go through what she went through. What was particularly sad was that my friend was convinced that it was all her fault and she somehow deserved that kind of treatment because she is a woman. Communities in Aqcha are family centered. Extended family becomes their community. Sometimes as much as 30-50 brothers, uncles, grandparents, cousins, parents and children live on one compound. Their compound would be surrounded by high walls. No male outsider can ever be allowed to enter behind those walls. 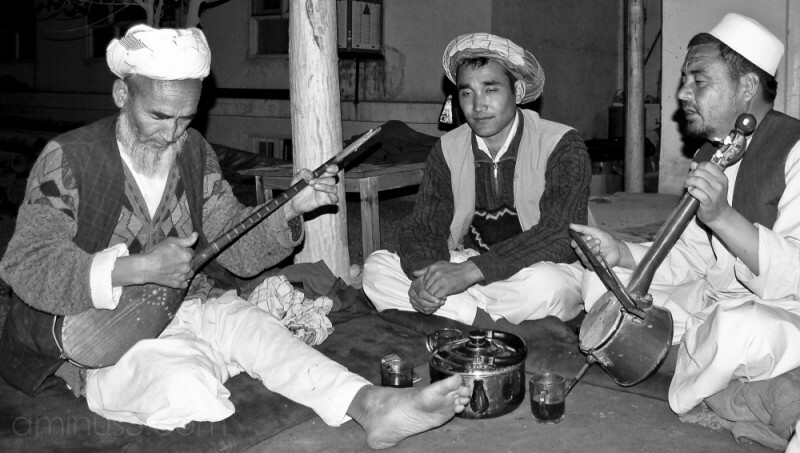 Every household has a guest house for male visitors outside of their compounds where guests can sit and drink tea with with the men from the community. Inside of the walls, it's a women and children's world, and Afghan men are very protective of their women. It was said that a Turkman, before he builds a house, would build walls first to protect his women. Women very seldom leave their compounds because there is no need for them - their male relatives do all the shopping, and most of their friends and relatives are within those walls. In rural villages there are no radios or TVs, and limited access to any resources. It feels like traveling back in time 700 years when you visit those villages. In places where we work they never seen a foreigner, and it is a privilege to work there and be accepted into their communities. I work with the women and therefore I am allowed to enter into compounds and see the hidden lives of the people, but my husband, on another hand, works with the men and he is never be allowed go beyond the walls. Talking about pain... There is a lot of suffering in Afghanistan. So much pain, that sometimes it becomes almost tangible. You can't get away from it. We work in very remote Turkmen villages, where water is a luxury item. For some people it takes 8 hours on donkey to bring water from a nearest water source. Many small Aqcha children die because of unclean water. You see, adults boil water for making tea, and this is all they drink -tea, but children...well, they drink water. Water that comes for river or irrigation canals. And when they get sick with diarrhea, mothers won't give them water to drink because it was water in a first place that made them sick. And then as often the case, they die from dehydration.